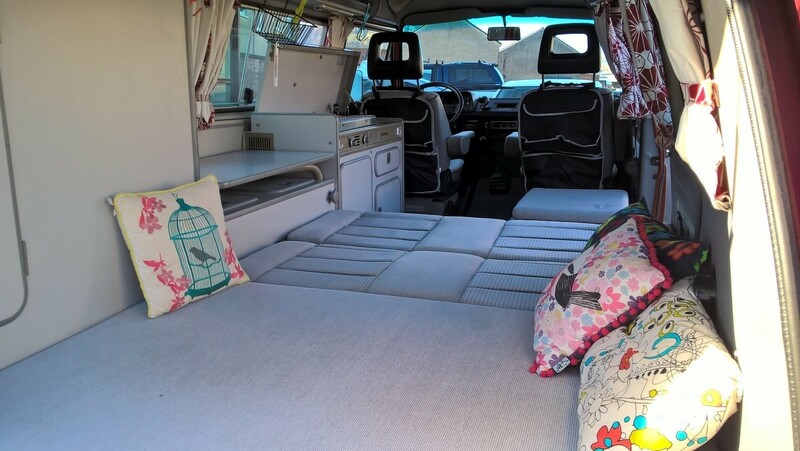 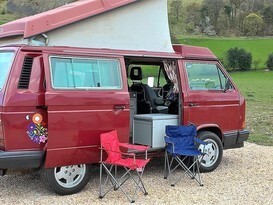 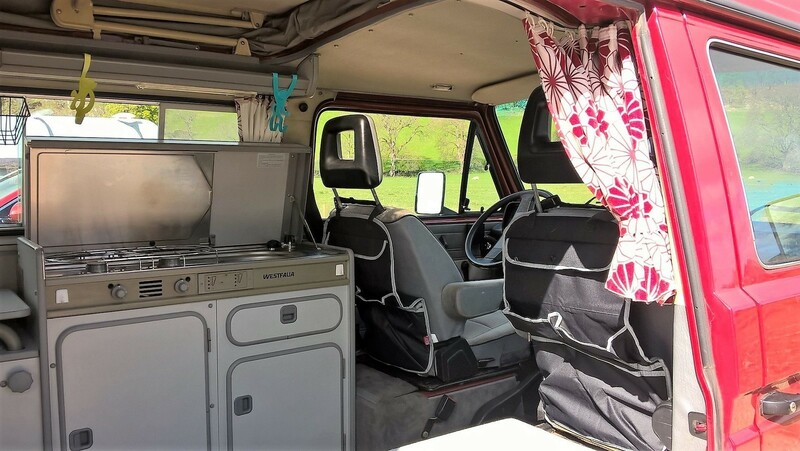 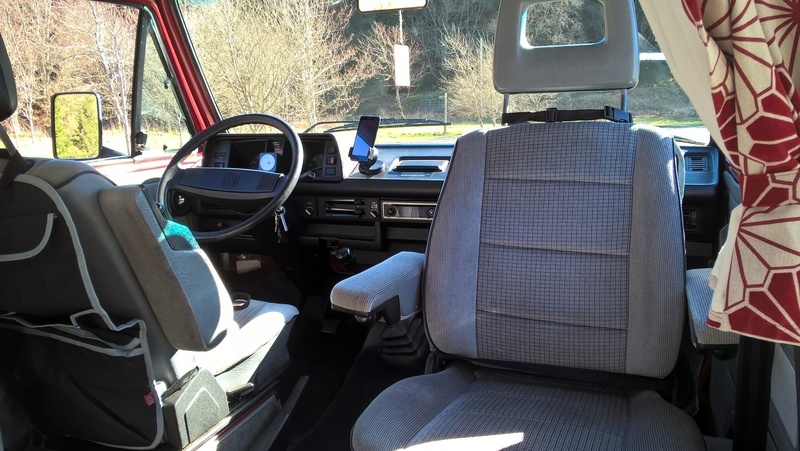 Born in 1989 in Germany, Ruby is an original Westfalia California Campervan import with all her original features! 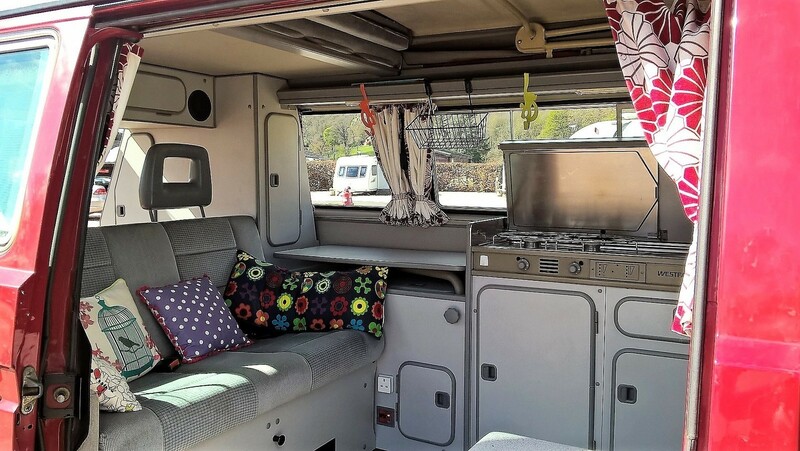 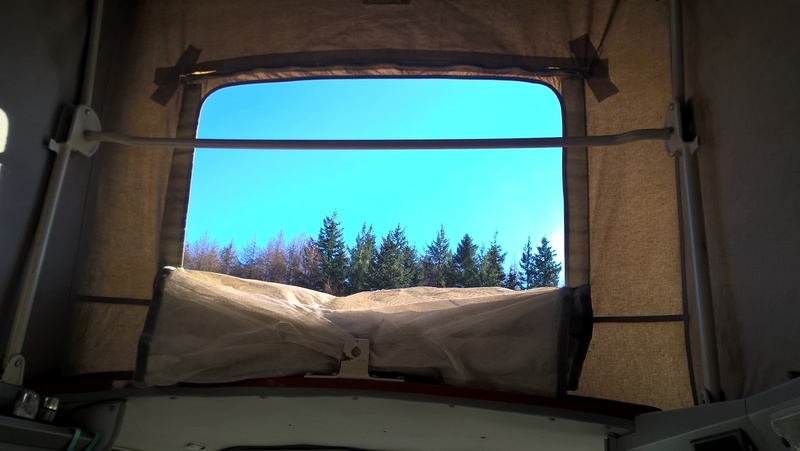 She is an all-year-round camper with independent heating for those chilly nights and rainy days. 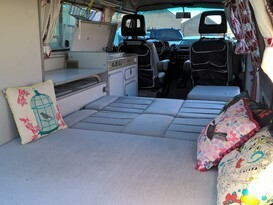 There are 2 real double beds (the top bed has safety net and can sleep children) with big storage area under the cabin bed, wardrobe and storage unit over the engine bay, and also cupboards in the dining area. She has swinging captains seats with adjustable armrests to enjoy and relax during meals and after fun outing. 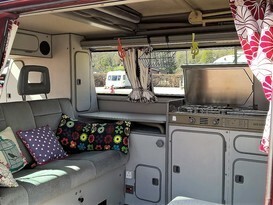 There is a storage rail above the cooker which is ideal when cooking, a 42 litre fridge with an ice compartment, a diode control display system on the kitchen unit showing the leisure battery charge level for peace of mind, sliding windows in sliding door and opposite with fly nets to prevent bugs entering the cabin. 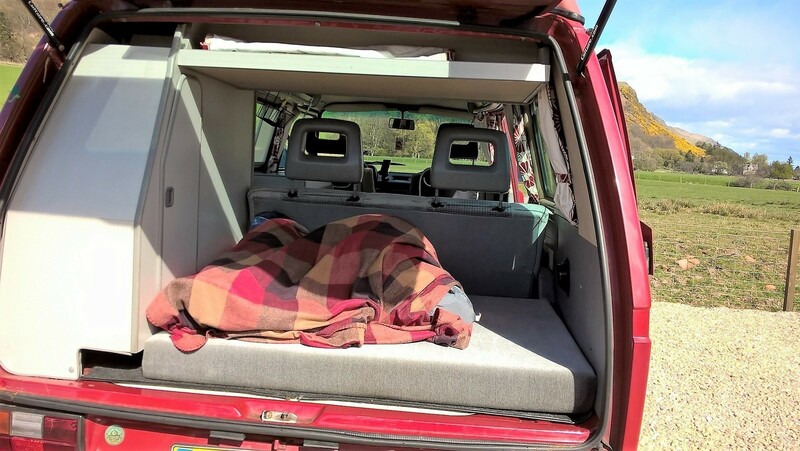 There is also a cushion 120 cm wide over the engine bay ideal for small pets and may more to discover. 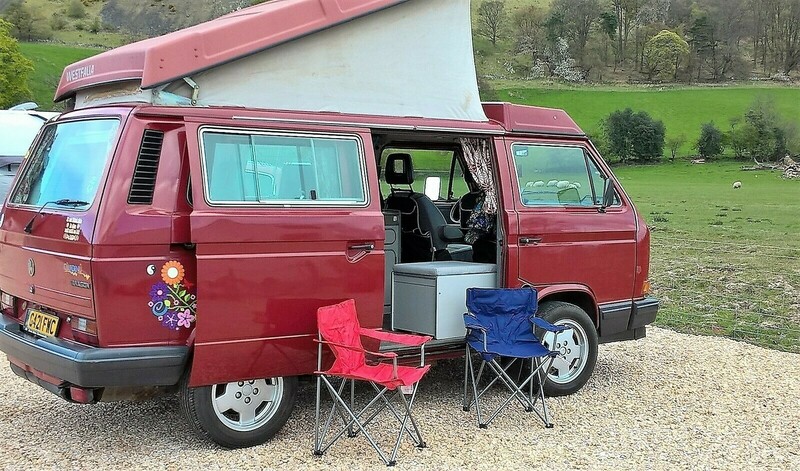 With her 1.6l TD, Ruby has been fully revamped with a brand new diesel injection pump, timing belt, alternator,] and its belt, battery and leisure battery, kitchenet sink's water pump. 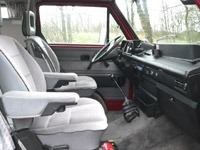 A very comfortable and vintage T3 which will take you around Scotland in a fantastic journey. 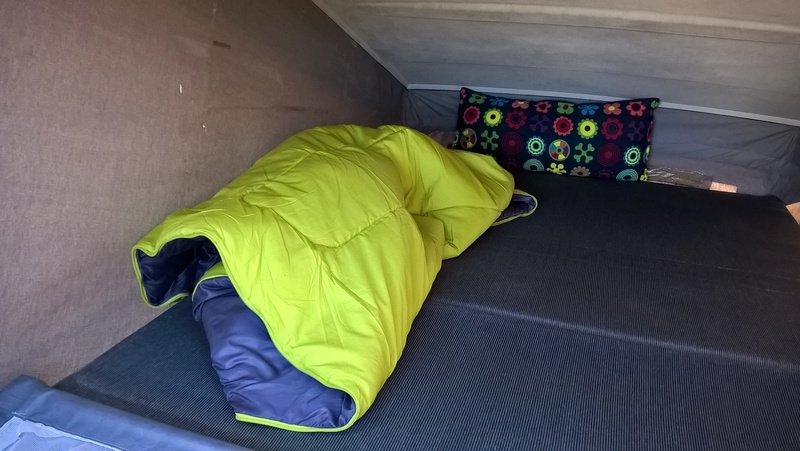 All bed linen (sleeping 4), cutlery and cooking utensils are furnished at no cost. 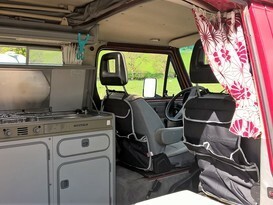 Hirer must clean the van before return (inside and outside), fill the diesel tank. 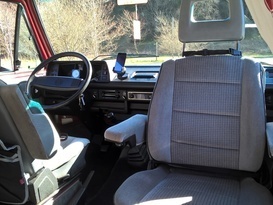 If van not clean, a fixed fee of £30 will be charge. 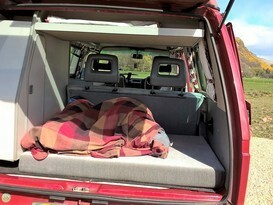 The van is not to be taken to festivals. 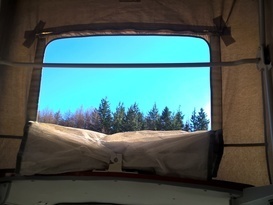 The van is not to leave Scotland. 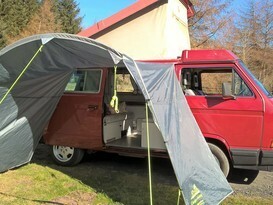 Smoke-free van. 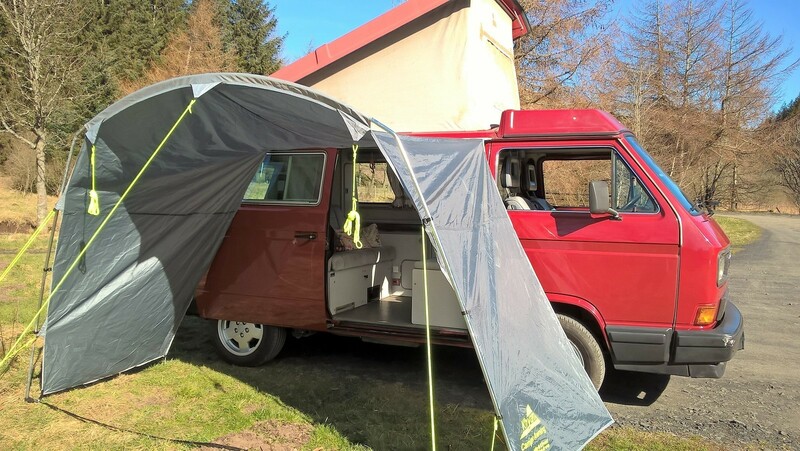 A fee will be charge if smell of smoke. 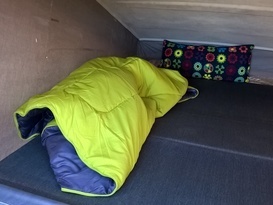 Pets will be considered but a fee will be charged.